Threadless just announced that this t-shirt was going on sale. I'll admit to being smirkily charmed by the design at first, until it occurred to me that it would end up on all the wrong people. You know, people who actually believe it. 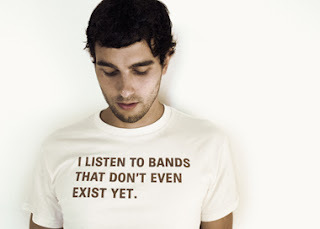 Does anyone else feel like this man looks like Sufjan?